St Michael’s has a ‘hands on’ approach to Mathematics where the students are involved in mathematics based on life-skills. Students need to talk and write about Mathematics. 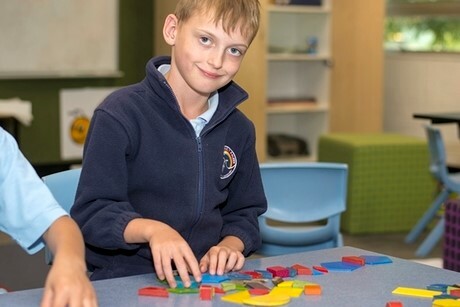 At St Michael’s School we also have a dedicated Numeracy Block, which is a one hour block wholly devoted to improve and challenge students’ numeracy skills. Through the structure of the Numeracy Block, students are provided with the opportunity to work as a whole class and in small groups with similar needs; as they are challenged to apply and discuss numeracy strategies. In the Numeracy Block explicit teaching and learning practices are in place; along with opportunities for Inquiry and application.